Last year, when I attended the Detroit Auto Show, I got to see the debut of the all-new 2017 Ford F-150 Raptor during the Ford press conference. Forged from high-strength, military-grade, aluminum alloy, it was a thing of beauty. The truck was rugged, spacious, and well-designed. Ford engineers also boosted the truck’s power. 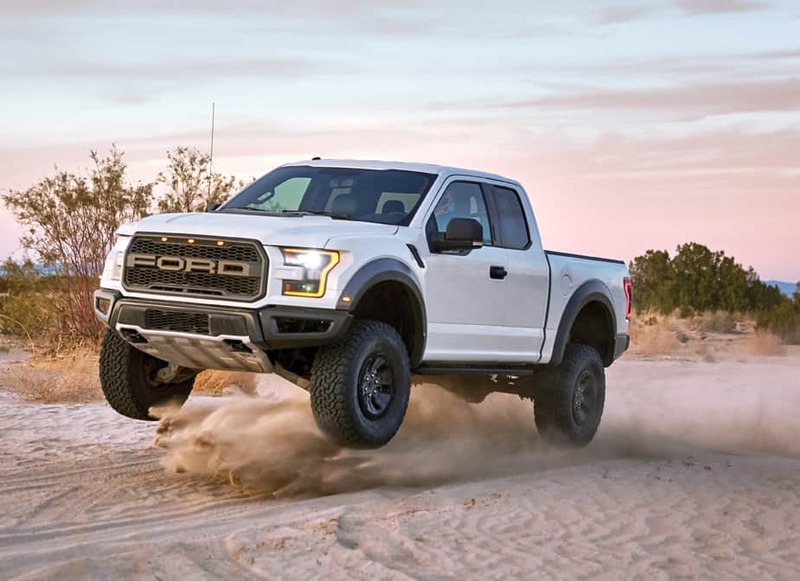 Ford’s second-generation 3.5-liter EcoBoost engine has more horsepower and torque than previous Raptor’s 411-horsepower, 434-lb.-ft. 6.2-liter V8. Redesigned, larger FOX Racing Shox with more suspension travel and all-new terrain management technology help the F-150 Raptor tackle the toughest of surfaces. Speaking of tough surfaces, there a few surfaces on Earth tougher or more demanding than the Mojave Desert. In this video, the Raptor shreds the terrain like a boss and proves why the Ford F-150 Raptor is the ultimate high-performance off-road pickup truck. The 2017 Ford F-150 Raptor goes on sale in fall 2016.